I've been really bored with my hair lately so I starting switching things up and actually styling it for once. Shock horror I know! Normally I leave my hair straight, but I've been adding a bit of wave and texture lately, and these are the products and tools that I've been loving to get this easy look. I've used hair oils for as long as I can remember and I greatly believe that they have totally improved the condition of my hair. I've tried loads but I always go back to the original Moroccanoil Treatment (£13.45). There's just nothing quite like it. My hair is super fine, but as it's coloured and a bit dry at the ends I use the original formula. Just a bit through the ends gets to work and injects a hit of goodness whilst keeping my hair smooth and frizz free. 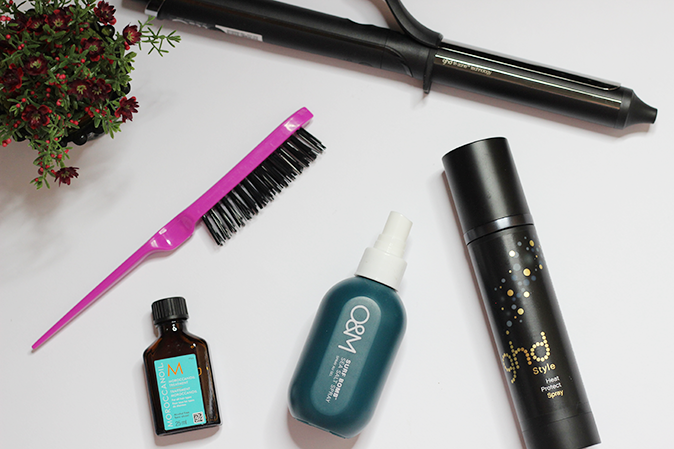 I recently spoke about my love for the GHD Heat Protect Spray (£9.99), but it needs another mention! As I am using heat on my hair more regularly this is absolutely essential. It's a lovely fine mist, smells great and helps protect my hair. It doesn't weigh my hair down or make it feel sticky, just does its job. So to get a bit of life into my flat hair, I've been loving using the new GHD Curve Classic Curl Tong (£110). I had a very old Babyliss tong for years but it just wasn't doing the trick anymore and took forever to heat up so I felt it was time for an upgrade. I'm actually a bit of a GHD obsessive and own a couple of different pairs of straighteners and the GHD Air hairdryer (it's amazing, do check it out! ), so naturally I went for this one. 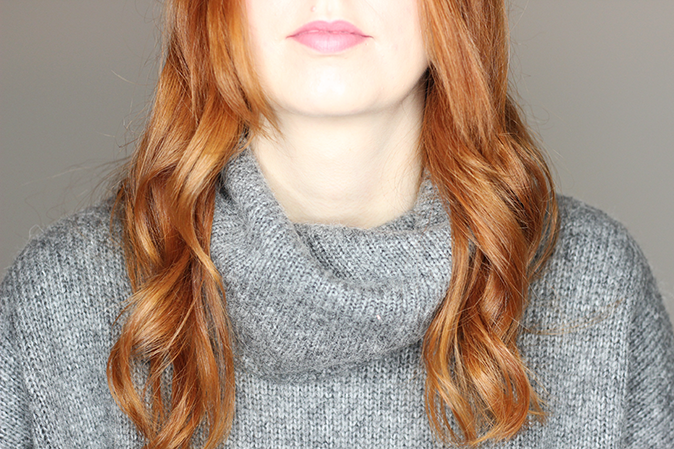 It has a medium size barrel so you can get loads of different looks out of it, from tight curls to relaxed waves. It heats up literally in a couple of seconds to 185 degrees which apparently is the optimum heat for curling hair - who knew? I've been using it to create this look, which is my weekend/going out look, but as it takes literally five minutes I might start styling my hair like this in the week too. How adventurous! Thanks to the lovely Julie for helping me decide on this one and showing me how to actually use it as I'm a bit hopeless! Once my hair is all curled, I've been using the Denman Dressing Out Brush (£4.29) to backcomb and add a bit of oomph to the roots. It's mega cheap and super easy to use and adds a nice bit of volume that my hair is definitely grateful for! I can't live without this now and even if I don't curl my hair I've been using it to mess things up. Messy is definitely high on my current haircare agenda! Lastly, I spray a bit of the Original Mineral Surf Bomb Sea Salt Texture Spray* (£18.00) into my hands and rub it into the mids and ends of my hair to break things up and give a more undone look. This is a super lightweight spray which smells great and adds just the right amount of texture to my hair. It doesn't have any nasties like sulphates and parabens in it which dry your hair out and cause irritations. As my hair is quite dry anyway this little beaut is a bit of a godsend as salt sprays by nature can be a bit drying, but the lack of sulphates mean its nowhere near as bad as the majority of salt sprays out there. I mainly scrunch this through my hair to finish it off and get a bit more texture, but it's also really nice added to damp hair before drying and twisting random bits of hair around as you dry it. I love this sort of look for a relaxed weekend 'I woke up like this' kinda vibe (yeah I can wish...). What are your current hair care must haves? The post Current hair care loves appeared first on Lelore.